Updated 11/27/18: An additional charge has been added in this case. Updated information is below in bold. MEMPHIS – The ongoing investigation by Special Agents with the Tennessee Bureau of Investigation of an officer-involved shooting in Fayette County has resulted in the arrest of an Oakland man, one day after two other individuals were charged in relation to the incident. At the request of 25th District Attorney General Mark Davidson, TBI Special Agents responded to an officer-involved shooting that occurred Thursday at Murphy’s Gas Station on Highway 64 in Oakland. 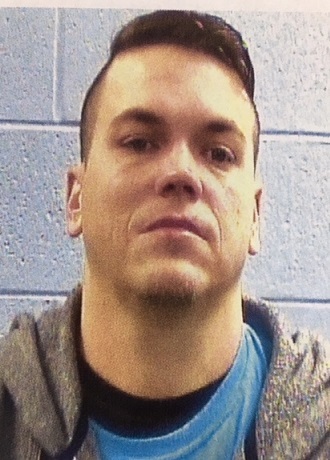 During the course of the investigation, Agents developed information that Christopher Lee walked onto the station parking lot and took the deposit bag from the clerk, Jessica Gardner. Lee ultimately encountered two law enforcement officers responding to the robbery call, and shots were exchanged, injuring a deputy. Lee fled the scene in a stolen car and crashed that vehicle, and was taken into custody. The initial investigation determined that Gardner was aware of and helped plan the robbery. The investigation further revealed that Samuel Watkins also helped plan the robbery, and drove Lee to the gas station. On Friday, Agents arrested Samuel Watkins (DOB 10/26/1987), and he was charged with one count of Theft over $10,000 and one count of Conspiracy to Commit Theft. He was booked into the Fayette County Jail.